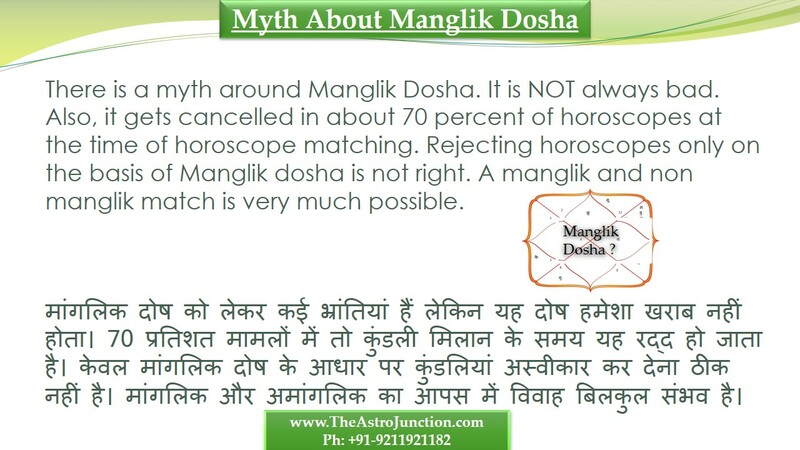 There is a myth around Manglik Dosha. It is NOT always bad. Also, it gets cancelled in about 70 percent of horoscopes at the time of horoscope matching. Rejecting horoscopes only on the basis of Manglik dosha is not right. A manglik and non manglik match is very much possible.